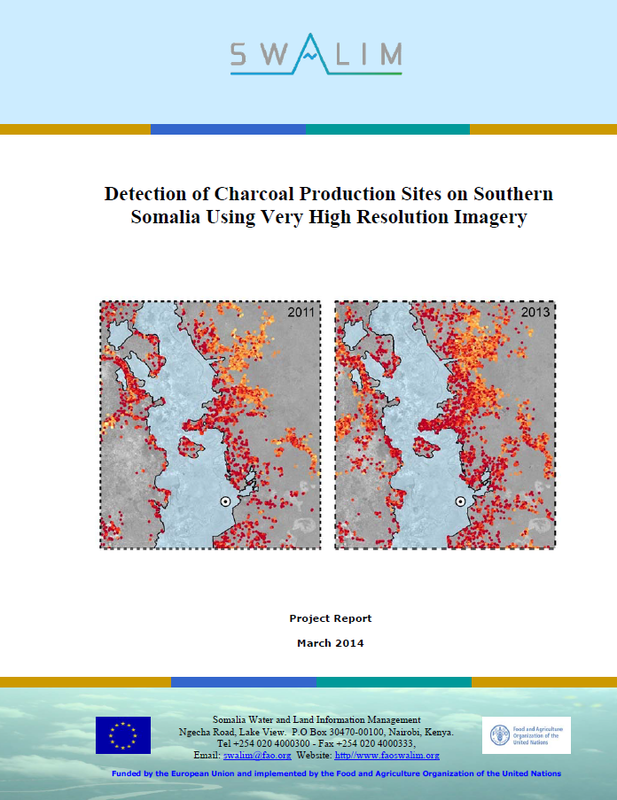 Technical Reports - These describe the processes, progress, results, recommendations and conclusions of technical research and studies conducted in the areas of water, land and remote sensing in Somalia. Alerts and Bulletins - These are generated regularly and as needed to keep stakeholders informed on weather patterns and climatic phenomena during the different climate seasons. Atlases – SWALIM has produced 2 major Atlases: "The Atlas of Somali Water & Land Resources", which is a collection of national and regional maps showing administrative boundaries, the physical environment, topology, climate and special theme maps relating to water and land resources; and “ The Atlas of the Juba and Shabelle Rivers in Somalia", which showcases the results of an aerial photographic survey conducted in 2008 covering a 5km-wide strip along the banks of the two perennial rivers in southern Somalia. Newsletters – “SWALIM Update” is a quarterly newsletter produced to keep stakeholders aware of ongoing activities and events in SWALIM. Project Reports – At the end of each Phase, SWALIM produces reports covering the activities carried out and the achievements of the phase. Other Publications – SWALIM has produced a number of special publications such as, ”Somali Water and Land Resources – Calling for Attention ”, which is a compilation of information for policy-makers drawn from the results of numerous surveys, studies, data collections and processes carried out by SWALIM on water and land resources. In addition, SWALIM generates fact sheets, brochures, product catalogues and information system manuals related to different aspects of SWALIM work.